I am very sorry to announce this but i am not longer working on this Mod. The Mod's last Version is designed to work with comming updates as long as the Devs aren't changing the core mechanics. I am aware that the Mod is not working for everyone, however i couldn't figure out why. You have the right to alter (change, patch, etc.) and distribute it again. It would be nice to see some credit to the original though. if it does not exist, create it - however the Endless Space Folder HAS to be there! 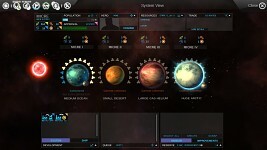 Once installed, you can find the Mod in the "Mods" Section in the Endless Space Main Menu. 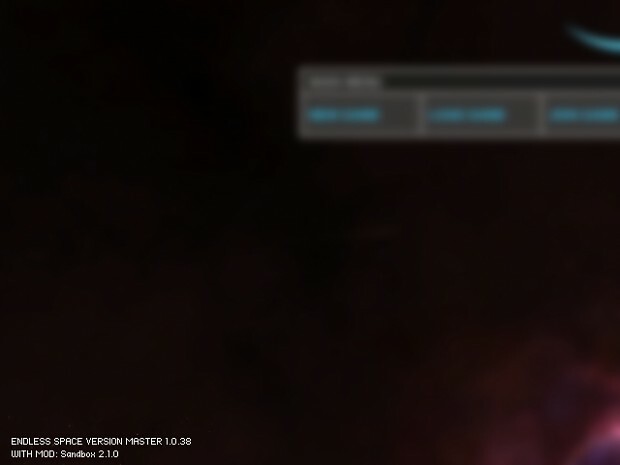 Once you are In-Game, look out for "with Mod: Sandbox 2.1.0" in the lower-left corner. 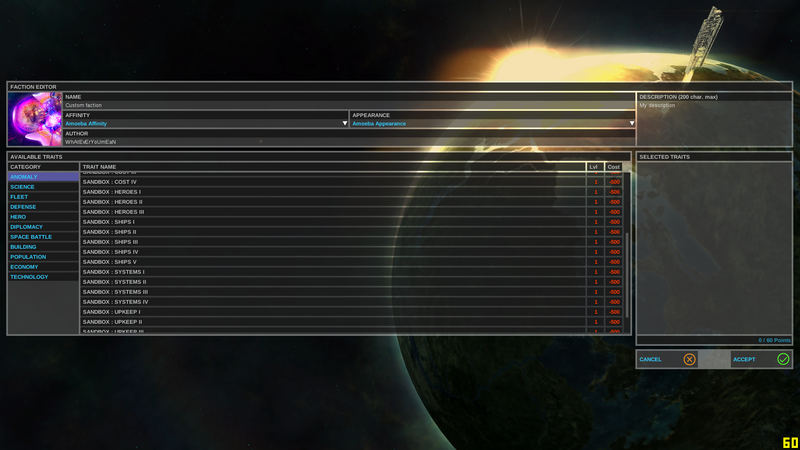 Then select New Game and go to the Faction Selection Screen. Now click on "Add", go to "Anomalies" and select the Parts of Sandbox you want to use. MaraWorf wrote: If you have increased fleet command points, then the Pirates are overpowered. Temporarily fixed by disabling Pirates. -Change the Way the Mod loads to allow easier Merging with Mods that use the same Files. 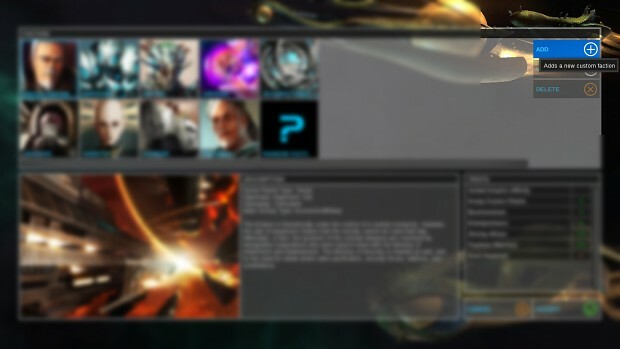 After Downloading and Installing, you will see the Starting Interface of The Mod Manager. 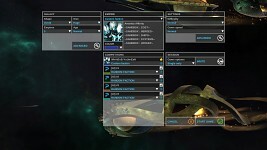 Get Mods will rescan for all Mods in the Mods Folder in case it may missed something. Add Mod will open a Dialog which will allow you to select a Mod Descriptor (Index.xml)Once selected, the Mod Manager will automaticly install it. Delete Mod will delete the selected Mod in the List. 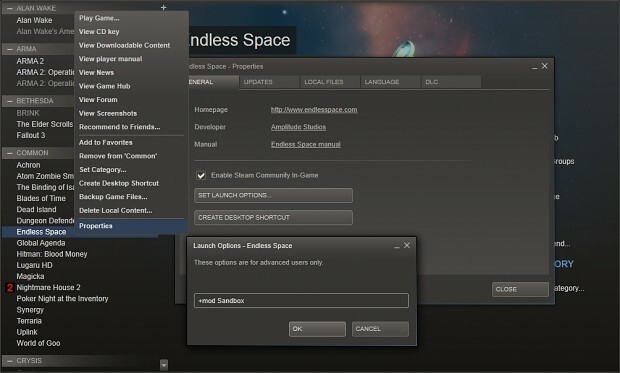 Launch Endless Space with selected Mod will Launch Endless Space via Steam with a preset Command-Line including the Mod you've selected. If you are using one of the "not tested" Operating Systems and the Mod Manager Works for you, please post it in the comments. 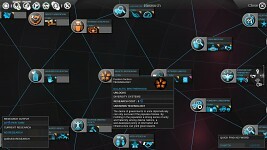 I am having an issue where the ai will not expand across the galaxy. They only create one additional colony with the colony ship that they start out with but nothing after that. Does anyone know why this is happening? There was another post about this same issue occurring on Mac but I've tried installing this on both OS with the same result. This happens to me as well!!! I don't think that even if if i ever get back to modding this game i will be able to fix that, sorry.